Personal radios, music, or amplified sound must not be played at a volume that interrupts the quiet or peace of another individual in close proximity. Please do not remove the furniture from its designated location. If furniture is moved within the lounge area, please put it back before leaving the space. 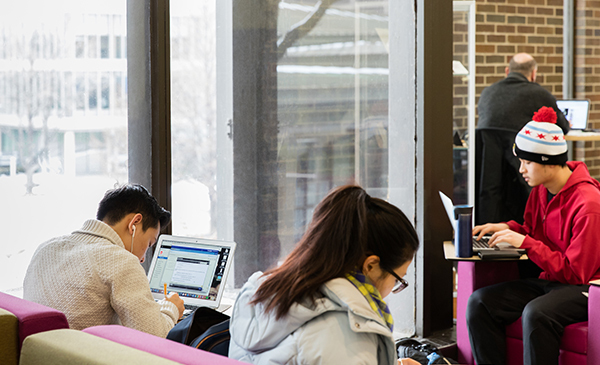 Student Center lounge spaces are utilized heavily by UIC students for studying, socializing, eating and resting. During the week of Flames Finish Strong, selected lounges in Student Center East will remain open for 24 hours on Monday, Tuesday and Wednesday only. Students are encouraged to stay overnight and join with other people who are preparing for finals week. 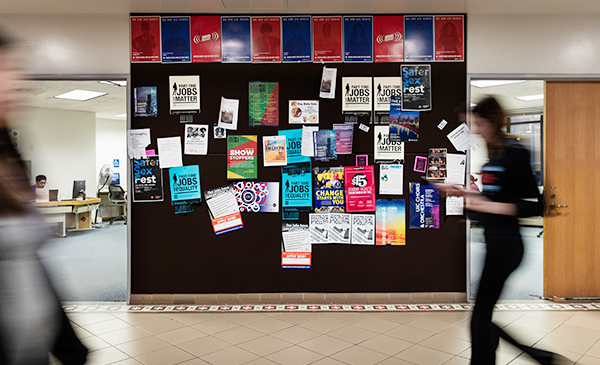 Student organizations, UIC Departments, and UIC affiliates are allowed to submit flyers for marketing purposes to be posted on designated spaces in Student Center pending approval by Building Management. Items that do not meet said criteria or that may be perceived as distasteful in language or appearance will not be posted. All unauthorized postings will be taken down. All reservations will be made through the Office of Meetings & Conferences. This policy is established by the management of the UIC Student Centers to ensure the fair and equitable allotment of table spaces in the Student Centers. 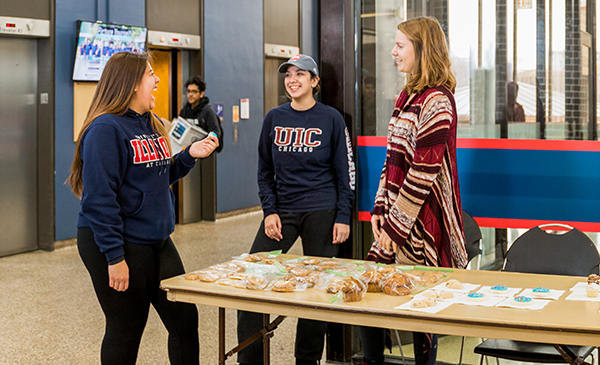 Table assignment is designed to allow for organizations and service providers to offer their information to the UIC campus community in a manner that is professional and respectful. This policy also is designed to ensure that UIC campus community members are not disrupted in their daily activities by organizations or persons who represent activities or services of which they have no interest. Use the link below to view full policy.